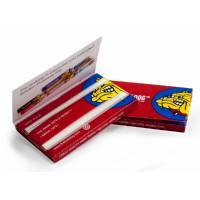 Double Red Papers The Bulldog small size, in double pack to never stay without, are in hemp and arabic gum for slow burning. Red Double Regular Papers are 100 per pack. 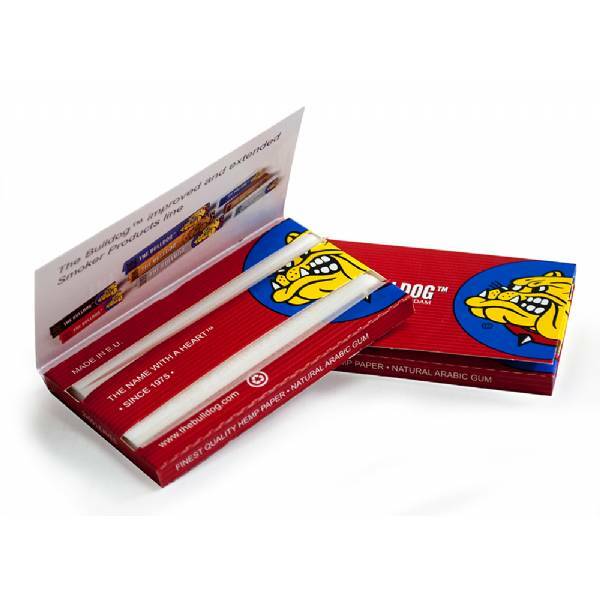 The Bulldog's Regular Double Window RED short smoking paper are made of natural hemp and arabic gum and guarantee a slow combustion. The Bulldog's Regular Double Window RED are 100 leaves per pack, essential for those who love rolling cigarettes and never want to stay without it.